Baker is director of market development for KW Plastics Recycling Division. She is a member of the Troy City Council. She is a LIFE mentor at Charles Henderson High School, a Keep Troy Beautiful board member, Reunion Troy Committee chair and Troy Kappa Delta Alumnae chapter president. Bedsole is controller of Medical Center Barbour in Eufaula. She is a graduate of Troy University and Leadership Barbour Class X. Her Leadership Barbour involvement has continued as LB board member and as the membership chair of the LB Alumni Committee. Bedsole is active on the Eufaula Barbour Chamber board of directors. Harris is distribution support manager for the Southeast Division of Alabama Power. He is a graduate of the University of Alabama. He is chairman of the Eufaula Parks and Recreation Board and vice president of the Alabama chapter of the National Wild Turkey Foundation. Hawkins has been chancellor of Troy University since 1989. During his tenure, Troy has grown and changed, with $300 million in capital improvements, upgrades to athletic programs, and creation of an overseas program. Hawkins earned bachelor’s and master’s degrees from the University of Montevallo and his doctorate from the University of Alabama. He served in the U.S. Marine Corps during the Vietnam War. 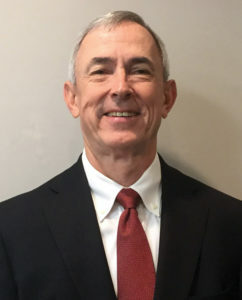 He is active in the community, serving on the boards of the Daniel Foundation, Business Council of Alabama, Better Business Bureau of Central Alabama and Troy Bank and Trust Co., as well as the Board of Visitors of Marine Corps University and more. Martin is branch manager of Flowers Eufaula Insurance Agency, an agency he co-founded and co-owned from 1981 to 2014. He is a graduate of the University of Alabama and was commissioned as a second lieutenant in the U.S. Army from the UA ROTC program. He served two years’ active duty in South Korea. He is chairman of the Barbour County Hospital Association and the Eufaula Industrial Development Board. Packard is general manager for Johnson Outdoors Fishing Group-Eufaula Operations, manufacturer of Humminbird Marine Electronics. A Pennsylvania native, Packard earned a degree in engineering from Lehigh University. He joined Humminbird in 1999 and helped integrate it into Johnson Outdoors in 2004. Packard is still active in United Way, after serving as president and helping merge Barbour County United Way into Wiregrass United Way. A lifelong resident of Union Springs, Padgett is the administrator of Conecuh Springs Christian School, a nonprofit ministry of First Baptist Church. Padgett has served on the board of directors for the Bullock County Humane Society, the Union Springs Country Club and committees for Bullock County Relay for Life and Distinguished Young Women. She is a graduate of Troy University and Auburn University Montgomery. 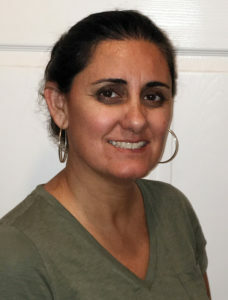 Originally from Chile, Ponce works with Barbour City Schools assisting parents and children from the Hispanic community. Ponce holds a master’s degree in landscape architecture from LSU and graduated from Leadership Barbour. She has collaborated in redesigning Eufaula’s Playground of Dreams. As a volunteer, she has led community programs with Eufaula City Schools, the Alabama Extension Office and 4-H to initiate outdoor classrooms teaching children about growing vegetables. Snead came to Eufaula 50 years ago and immediately became active in the community. Her first big task was chairing the Annual Eufaula Pilgrimage, and she has served as executive director of the Eufaula Heritage Association for the past 10 years. Snead was recently selected by the Boy Scout Council as its first female Golden Honoree. Thornton is owner, designer, planner and an officiant of event venue Pizzazz by Nazz in Union Springs, which is presently expanding to a larger location. She also owned Nazareth’s Nails and More for 25 years. 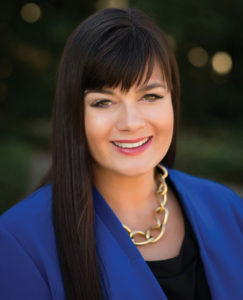 She is a member of the Union Springs Planning Commission, Bullock County Tourism Board and the advisory board of cosmetology for Wallace Community College in Eufaula.